Who’s Wolf Trapping/Hunting This Season?! Missoula and Great Falls are currently accepting registrants for their upcoming Montana Wolf Trapping Certification Classes. The Great Falls class is scheduled for September 30th at the Region 4 FWP office, while the Missoula course is scheduled for December 2nd at the Region 2 FWP office on Spurgin Road. The classes typically run from 9AM – 3PM and certification of completing the class is REQUIRED for all trappers planning on trapping wolves in Montana. 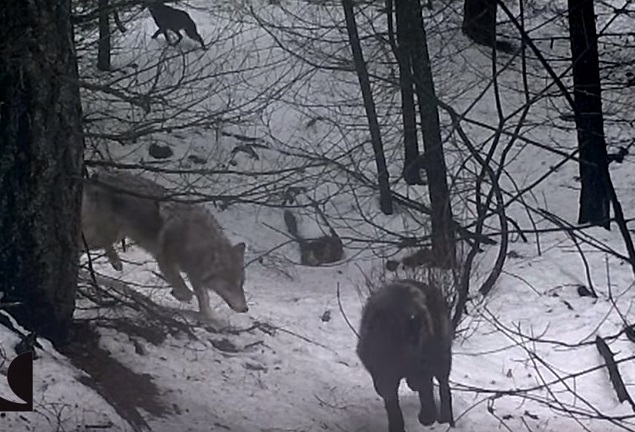 In the meantime, while things are still hot and smoky in Montana, here’s some more footage that might get you excited about the upcoming wolf season. Here are the dates, and some pretty sweet trail cam footage–although it is unclear where they are–it’s still enough to get a wolf hunter/trapper stoked. We hope your traps are full and your tags are filled this year! Click HERE for more information on Montana wolf hunting and trapping.